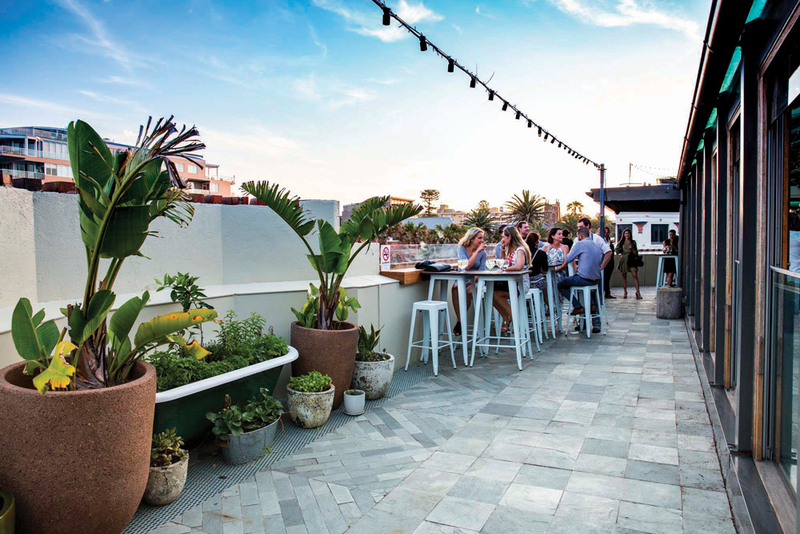 ACROSS SYDNEY THE ‘IT’ DRINK IS GIN AND IN TRUE STAYING ONTREND STYLE, HOTEL STEYNE IS AHEAD OF THE PACK WITH THE LAUNCH OF ITS VERY OWN GIN PALACE. 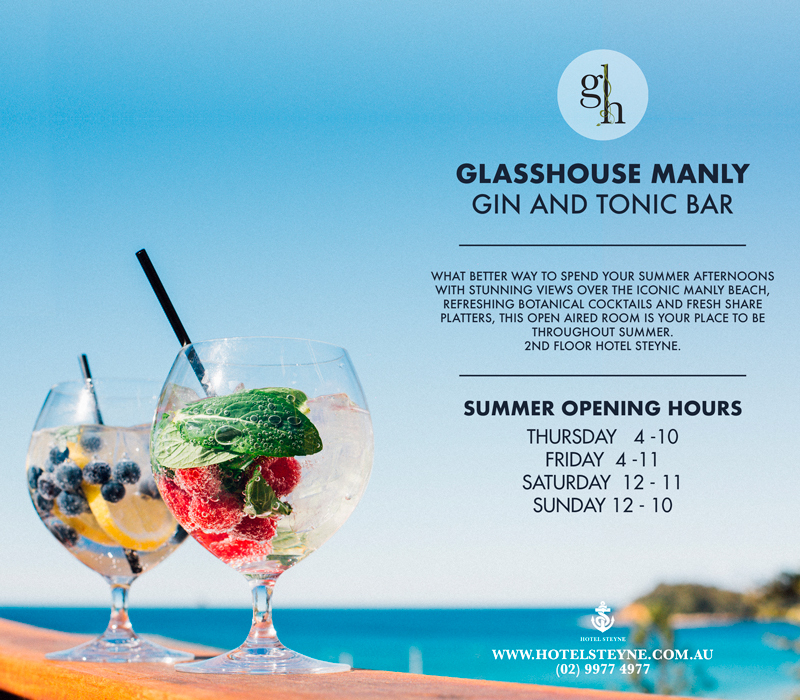 The beautifully designed Glasshouse is focusing its attention on all things gin bringing a new level of sophistication to the Northern Beaches. Newly renovated, this spacious and stylish bar aims to provide the people on the peninsula somewhere to relax with fresh food, botanical cocktails and spectacular views. 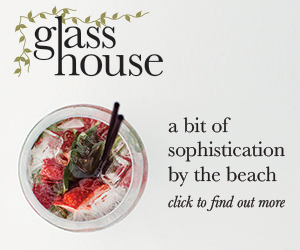 With a notable Gin inspired drinks list and aesthetically pleasing array of plants and herbs, and delicious share plates, The Glasshouse is the perfect place to gather a group of friends and watch the sun go down. The gin theme goes beyond a simple G&T with an array of alcoholic offerings with one common element – gin. VANILLA PLANIFOLIA made up of Martini Rosso, Grey Goose, Lemon, Vanilla and berries. CYMBOPOGON a mixture of Tanqueray, Coconut Rum, Sugar, Lime and Lemongrass. FUBUS IDAEUS (RASPBERRY) combining Ratu Dark Rum, Grand Marnier, Raspberry Syrup and lemon. MENTHA & PYRUS Plum Wine, Peach Liquer, lychees, kiwi, pear, mint and black tea. SAMBUCUS a mint infused Hendricks, elderflower, cucumber juice, lemon and sugar. RORIS MARINI including Archie Rose Gin, grapefruit juice, cardamom and rosemary. LAVANDULA combining Hendricks, lavender and honey syrup and lemon. APIUM made from Rutte Celery Gin, basil, lime and sugar. There is also a DIY G&T where you can choose your Gin, Tonic & Botanical. On cooler nights a Hot Gin Punch jug might be just what you need or there are Spritzers and Pimms, also by the jug. An array of Rosé, Red, White and sparkling wines to suits all tastes and budgets, are also on offer.